Frank Pozen's Big Bad Blog: AccuRadio Song Of The Day-fun. fun. scored a couple of big hits in 2012 including Some Nights. The band is currently on hiatus and it is unclear if they will ever return. fun. is led by lead singer Nate Ruess. When his previous group The Format split up in 2008, he asked pianist Andrew Dost and guitarist Jack Antonoff if they were interested in forming a band. Dost toured with The Format. Antonoff was in Steel Train who were on shows with The Format. They released the 2009 album Aim and Ignite on Nettwerk and they went on tour. This got fun. a deal with Atlantic's Fueled By Ramen label. 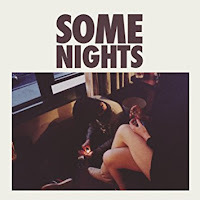 The album Some Nights was released in 2012. it was produced by Jeff Bhasker who has worked with Kanye West among others. The first single We Are Young featuring Janelle Monae topped the charts. 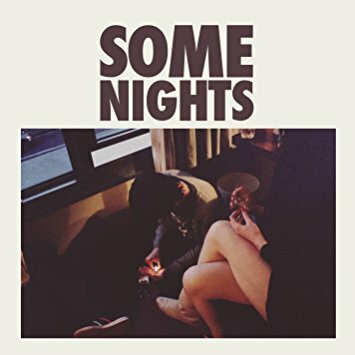 Some Nights was the second single and it reached #3 on the Billboard Hot 100. The album was certified 3XPlatinum. And they won two Grammy awards. In 2014 fun. announced they were working on new music. Then in 2015 they announced they were going on hiatus. They said they weren't splitting up. Reuss released a solo album in June 2015. He admitted to being behind the hiatus. He wanted to record solo for now. Dost has been working on film music. He recently said he is recording an album to be released later this year. Antonoff leads Bleachers and they have released three albums. He also worked with Taylor Swift on 1989. The longer fun. is on hiatus it's less likely they will ever return. Here's the video for Some Nights by fun.